Need to grow but hate paying an arm and a leg or for junk leads? We send quality, exclusive phone leads directly to you! Leads are the fuel that drive the growth of your pest control business. To be sure, you need an effective salesperson and quality of service. But it all starts with the lead. This is where We Get Leads excels. 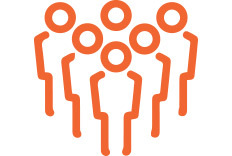 Our service connects interested prospective customers – warm leads – directly to you. Our leads are independent of any other marketing you are doing, so you can continue doing anything else you are doing and supplement with our service. We are the pest control industry leader at providing exclusive, quality pest control leads. For over 6 years we have provided not just quality leads but quality service to our clients. The marketing industry is full of companies who will promise the world and not deliver, at the expense of your bank account. Our clients love our lead quality and volume. Just check out our testimonials, or find out for yourself with a free trial. There are many lead generation and marketing companies out there, but only we have the quality of service and the quality of leads! Chris Keenan and the WeGetLeads.com team have consistently brought us high quality leads at a reasonable price. Their leads have generated us tens of thousands of dollars in revenue. We are very happy with their service. We have used Chris and We Get Leads now for a few years and his results are impressive. His service helps drive business for our company. His lead quality is solid and unlike many of our marketing channels, is verifiable. He does a great job of getting to know your company and then works to get you as many leads as possible. I strongly recommend using this company! Great company. I have used them for years and they provide much better quality leads than other advertising options I've used. They are very easy to work with, proactive about contacting me with any questions or concerns and really look out for my success. I like that they aren't just in it to make a quick buck by throwing lots of low quality leads at us to drive up thebill like too many other marketing companies do. Honest and friendly, market exclusivity, they know their stuff, they do it cheaper than I could run a Google adwords campaign. What's not to like? I will definitely continue using them in the future and recommend them to others. Amazing Lead provider, does what he says he will. This service has helped grow our business. Thank you! These guys perform above and beyond expectations and they over deliver! Chris and staff are unbelievable! They have generated more leads than we can handle. I was a bit skeptical of using We Get Leads because of the straightforward & low cost proposal that Chris sent me but after using his service for a couple years, I can honestly say they are the real deal. Month after month We Get Leads returns the best ROI of all our lead sources, and Chris' honest approach to online marketing is very refreshing and reassuring. We Get Leads is a great partner for any business wanting grow and get the most out of their marketing dollars. We've been using Wegetleads.com for nearly two years. We have experienced good results and they have kept it that way from the beginning. We like that you are not bound to a contract. Biggest concern working with someone is always this....."will it work?" Hands down WeGetLeads has benefited my company with good quality leads. The biggest benefit to working with Chris and Wegetleads.com is their communication. They get back to us quickly if we have a question or if we need to make changes to our account. Wegetleads.com gets the job done. The price is fair for the quality of leads you receive. We have seen an increase in revenue since working with wegetleads.com. They are awesome! We have been using We Get Leads for years and appreciate there professionalism and the quality leads we get. I have friends in the industry in other states and they are happy with We Get Leads also. Our biggest concern was paying for bad leads. Over the last year in a half we have found that most of the leads that come in are prime/ hot leads and need only to be closed. Of course there will be the "shoppers" or people just wanting information, but Chris and his team does a good job at filtering out the bad leads. The biggest benefit for us is consistency, we know that we can count on WeGetLeads to provide us with a predicable amount of leads, which translates to a consistent amount of new customers. WeGetLeads is a must have to your normal marketing strategy. You got nothing to lose. I have been working with Chris for over three years now, and it has been nothing but a pleasurable and beneficial experience not only for myself personally but professionally for my business as well. With over 24 years of experience in the pest control industry, I knew I had all the knowledge I needed to start and successfully run JEM Pest Solutions and give my customers to the best service out there. What I was missing however, was an effective way of generating leads from the internet. Once we got started, we saw an immediate increase in lead calls coming in, with an over 80% closing ratio.The biggest and best benefit of using We Get Leads has been the amount of calls we've received due to the generation services. I highly recommend We Get Leads to anyone who is looking to increase sales and grow their business. With their knowledge and experience, I am now able to share mine with many new customers. Very personal feel like they are a small local business working with you to be successful. Don't wait sign up now this is a company you can trust and they will deliver. We had heard great reviews from our other branch locations but was uncertain how it would work for us. Our concern was quickly gone as the calls came in and we were able to see almost immediate leads coming in. We would definitely recommend using this service. It has generated many good quality leads Even the ones we have not been able to land, we have been able to use to improve our closing percentage. Chris has been great working with and if we ever have any issues, he quickly will resolve them. We are just waiting until we can use his services in more of our service area when the opportunity arises. We love the reports that are sent along with the link to listen to the recorded call. We are able to listen to how we did and improve upon what we could have done better to have landed the lead. We also love the reporting description of each call as well. Makes it easy to quickly glance through each call and see the contents. These were quality leads that lead to monthly, bi monthly and quarterly services and also led to other sales once in the customers homes. Not all callers results in sales but many do call back once they check prices of other company's. I would say We get leads will make your phone ring with solid leads. You just need to do your part and sell it when it rings. We certainly have had quite a few extra leads in the area that we chose to move forward in. My only regret is not signing up for the rest of our service area when I could. Our company has been using We Get Leads for over 3 years. They have been one of the shining stars of our lead generation marketing. From the start, Chris has not only provided personalized and prompt service, but has continually met and exceed the expectations that we had when we decided to use their services. I hate exaggeration, but they are truly an indispensable component of our marketing program. My highest recommendation. We build a trackable landing page, unique from your website. 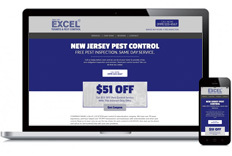 We use Google, Bing, and other search engines to drive searchers looking for pest control help to our website. We record, transcribe, and report out on every single call we get you for complete transparency. Better still, we only charge you for quality leads. Each pest control lead is sent directly to you. All you need to do is answer the phone and set up an appointment. Discover for yourself the quality of our service. Just fill out the form below and see if you’re eligible.